In Holland v. City of Taylor, Michigan Court of Appeals, No. 303055, April 12, 2012, a taxpayer's request to reduce his local property tax assessment was denied because the taxpayer failed to meet his burden of proving his allegation that a misapplication of a legal principle and clear violation of law occurred when the Michigan Tax Tribunal considered the highest and best use of his property. The Michigan Court of Appeals held that the highest and best use was a concept fundamental to the determination of true cash value. It recognized that the use to which a prospective buyer would put the property will influence the price that the buyer would be willing to pay. Therefore, the highest and best use was an appropriate consideration for determining true cash value pursuant to the cost approach. The taxpayer also failed to meet his burden of proof regarding the true cash value of his property. 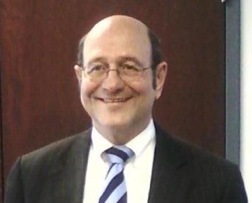 Although the taxpayer presented general information regarding the real estate collapse and home listings, he did not present evidence of an appraisal or the approved methods for determining true cash value or fair market value as adopted by the Michigan Tax Tribunal and the Michigan courts.